This weekend was the UMX (Ultimate Music Experience) in Denver – the official auditions for the 39th annual CHUN People’s Fair, being held June 5 & 6. I was there emceeing the event. I ran an “encore presentation” of my December 9, 2009 show “My favorite songs of 2009.” These were the tracks that found their way most often played in my personal mp3 player, my car stereo, and on my home computer … Next weekend will be a new show Vol. 2 Episode 13 w/ some new music. Born and raised in Denver, Andrea began studying piano at age eight. She received a music degree at the University of Colorado and has been performing in the Denver area since. 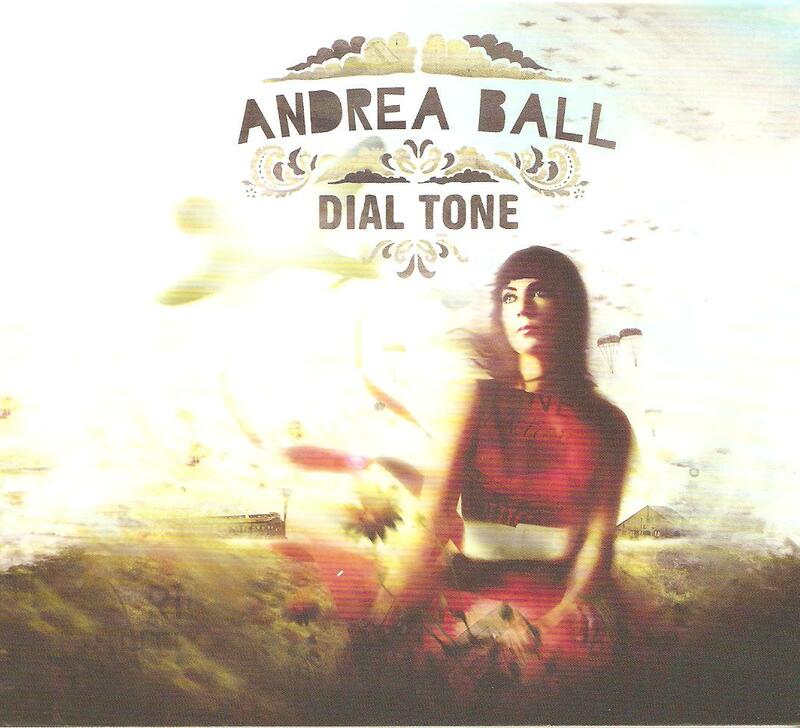 Her debut, Dial Tone, is set for a March 23 release. Recorded by John Macy & Nathan Johnson at John Macy’s Studio in Denver. Andrea is one of a couple dozen Colorado acts appearing in two separate Colorado showcases at the 2010 SXSW. The album features Andrea Ball (piano, guitar, vocals), Neil McCormick (bass, banjo), Carl Sorensen (drums, melodica), Dan Craig (electric guitar, vocals), Chris Eagleton (synths), Kailin Yong (strings, saw), Bethany Speer (cello), Jason Klobnak (horns). Fort Collins based Fierce Bad Rabbit released one of the top indie/alternative rock debut records of 2009 with their self-titled debut that contained the “hits” Everything Is Alright and Sink Like A Stone. According to band leader Chris Anderson, their new album should be out this summer – but in the meantime the new single is available to download for free at their website. 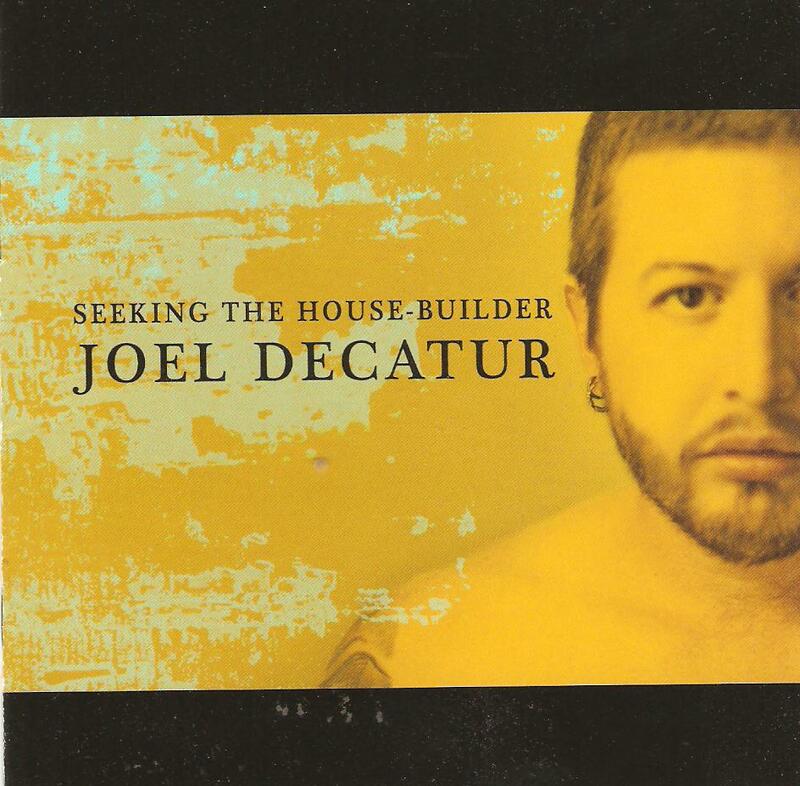 Joel enlisted Kris Smith (James Taylor, Natalie Merchant, Josh Ritter) to produce his debut album. Although Joel’s personal description of his music is Americana/Folk, there is nothing on the album that represents either genre. 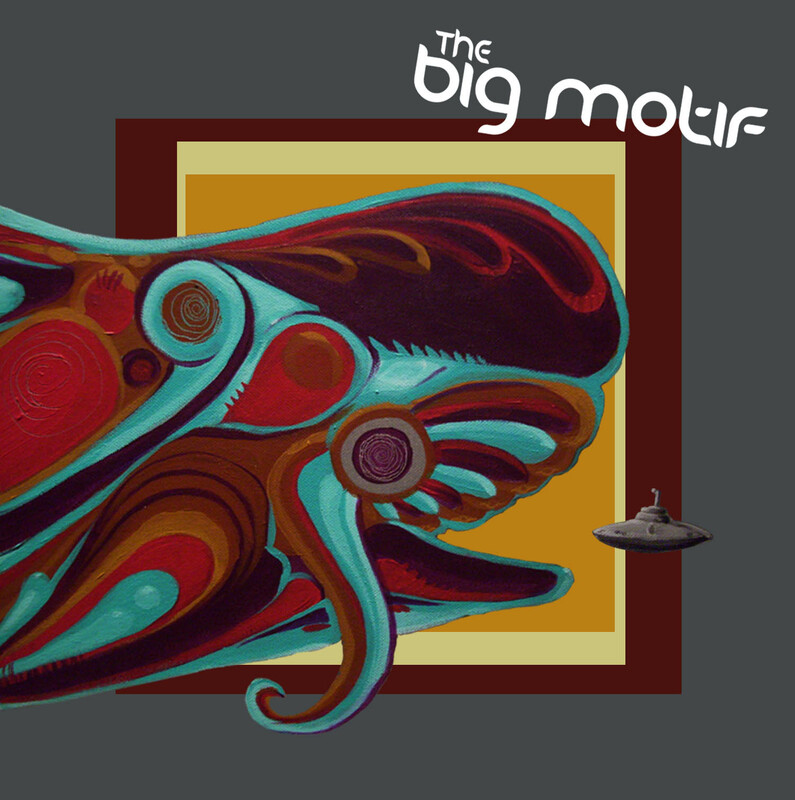 The album features performances by Kris Smith (drums), Matt Tahaney (bass), Sam Kassirer of Josh Ritter’s band (piano, keys, organ and vibraphones); Brad Smith from Blind Melon makes an appearance on bass on the track, Trust. Nick Duarte from Fort Collins’ band Post Paradise adds some guitar and vocals to Bitter Days and guitar on Dancing On Our Graves. Amy Morgan, also from Post Paradise, adds some beautiful cello to the track, I Won’t Ask. Ryan Spraker from Eli “Paper Boy” Reed & The True Loves, banjo on Run, Run, Run. Jason Lawrence from NH band, Flawd, electric violin on two cuts, Bitter Days and Dancing On our Graves. “Like a post-collegiate Fiona Apple jamming with Snow Patrol, [The Autumn Film] serves up a piano-drenched sincerity topped off with a voice that’s wise and heartbroken beyond its years” ~The Onion. Their debut album, Safe and Sound, earned them the praise “Best Band to Come out of Nowhere” by The Westword. The new album is sure to bring them considerably more praise, and hopefully airplay. What started out as a three piece featuring three high school kids a few years ago has turned into a four piece of remarkable virtuosos who are still “teenagers.” The group ranges from 18-20 years of age, yet founding members Tony Pacello, Hunter Roberts and Jeff Jani have been playing together for 5 years. Originally called The Runnin’ Wild Band, these guys hooked up by winning a Fox Radio / Lewis and Floorwax on-air competition for the best young musicians in Colorado. During the RWB 5 year run, they got the chance to play hundreds of shows inside and outside of Colorado, including sharing the stage with Creedence Clearwater Revival, Ted Nugent, and Johnny Winter. Hot off the press, The CD features a blend of styles including blues, jazz, funk, reggae and psychedelic rock, c0-produced, recorded, mixed and mastered by Dave Beegle. Produced by Tim Carbone (Railroad Earth) and featuring Vince Herman (Leftover Salmon), this is GAT’s second cd following their 2007 debut “Steets of Gold.” Their sound is a concoction of swampy blues, progressive bluegrass, funky New Orleans strut, Southern boogie, honky tonk country, gospel, and good ol’ fashioned rock ’n’ roll. 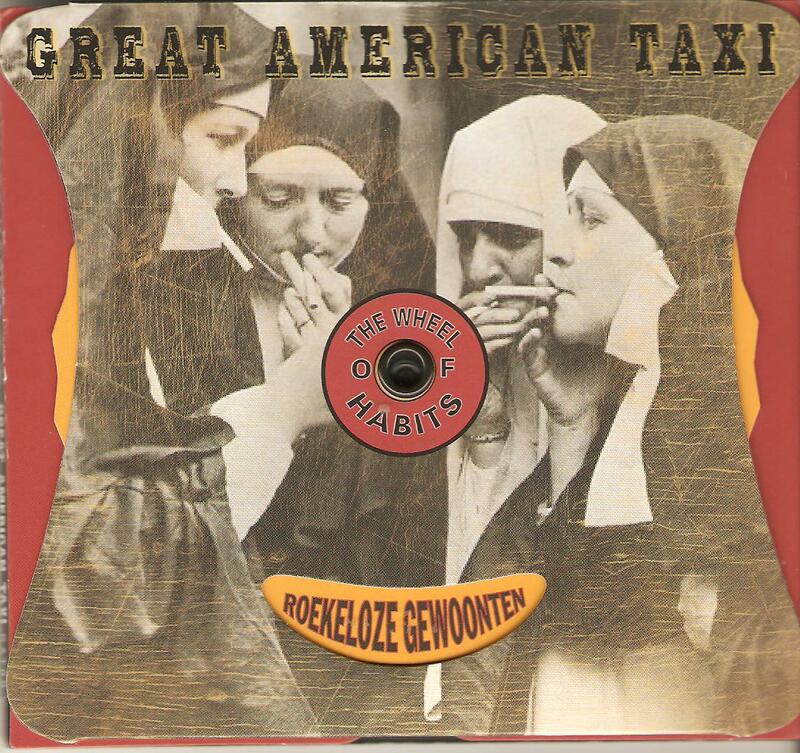 According to the band’s website, the 13 tracks on Reckless Habits gleefully stretch the boundaries of American roots music with a nod to both tradition and the future. 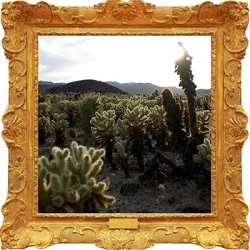 …including the likes of Gram Parsons, the Grateful Dead, Bill Monroe, John Hartford, and more. I’ve know John Common for several years now. I’ve either booked John solo, in a band (Rainville), or done some acoustic gigs with him… all told probably a hundred times (easily) over the years – and that doesn’t even begin to count the number of times I’ve seen him perform where I didn’t book the show. I own every one of his records (at least that I know of), and have played cuts from all of them on The Colorado Sound over the years. So, when asked if I’d write down my impressions of his newly released John Common & Blinding Flashes of Light – Beautiful Empty (Free School Records, 2010) I deemed it an auspicious personal challenge. Objectivity flies out the window when you’re this close to someone else’s most intimately crafted art (edit: esp that of a friend). In Rainville, John explored his alterna-roots rock-gutter jazz-county folk vision of life in America, taking us on a journey down a road “between two towns,” along barren stretches of gravelly whisky-voiced grit and dust packed in alongside a “convenience store killer,” “broken flower,” and “five-dollar shower.” Let’s call that John Common 1.0. That journey ended somewhere around 2004. 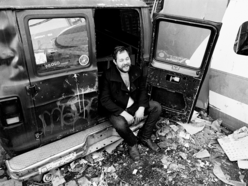 John Common 2.0 showed John weary of the road, and actually may have begun with a request to record a duet with Opie Gone Bad lead vocalist Jake Schroeder in 2004/2005; the Beatles classic “Dear Prudence” (released on Mountain Homegrown Vol. 4). The fact of circumstances – however vague – does not diminish the newly-classic reworking of the song, nor the style in which John 2.0 emerged, the noise-folk-art rock bridge of Good To Be Born (Free School Records, 2006). Here, John along with co-producer Scott Davies (drummer for Opie Gone Bad), reached out and grabbed onto what I perceived to be the muse of Brian Wilson, recording layers upon layers of sound that in effect appeared aurally as a photograph with such depth-of-field to nearly appear three dimensional. This team, including Jeremy Lawton as mix master, finished this journey as Why Birds Fly (Free School Records 2007) in a seamless fashion, making more noise and becoming much more incoherent and messy. I could tell by this record and in conversations with my friend that he had once again become uneasy, unsettled, and needed to “get in the car and drive.” Only where to was the question … for all of us including John. 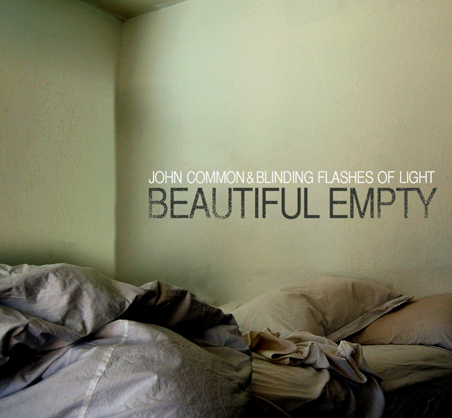 Enter John Common 3.0, with Blinding Flashes of Light and the record Beautiful Empty (Free School Records, 2010). I’ve always thought John exuded a certain kind of emptiness — not of the kind you’d see in the eyes of soul stealers, but more like he empties his soul with every word he writes and every note he sings and so becomes empty all over again, until the next filling and emptying and so on and so on…that kind of emptiness. I have heard that JC 3.0 started as John traversed Eastern Europe sometime around 2008, perhaps as I’ve heard and read that he felt he had nothing left to say musically. I have also heard that JC 3.0 happened when John returned from Europe and met singer-songwriter Jess DeNicola. Jess certainly brings out yet another side of John we’ve never heard before. There’s tenderness in John’s voice singing with Jess that I haven’t heard before — a dreamy wistfulness he toyed with in John Common 2.0 but didn’t quite realize somehow. Jess brings that out in him…she’s perfect in the role, matching him emotionally every single step of the way – as clear and as powerful and meaningful in phrase and voicing – forging a singularity of voice uncommon among most male-female singing duos. Throwing objectivity straight the hell out the window, this is the most complete John Common record yet. It is truly one of the most endearing and magnificent albums I’ve ever had in my collection. The lyrics are those of the poet–laureate, insightful, and glaringly crisp in their focus. The music is the equal to anything ever done by any great pop music arranger. Beautiful Empty is full of mystery, intrigue, loneliness, pain, and searching — and there’s no direct answers here…there’s no salvation, no redemption – although there is hope, optimism. All put together we get one of the most sophisticated and intelligent adult pop records of the past several decades. It’s John traveling as he has always, only this time his journey moves far past the gritty highways of Rainville and the messy existentialism of Why Birds Fly. If it’s possible that song titles are any indication at all they say what needs to be said about John’s vision of himself and of life … Can You Hear Me, Same Scar, Wide Open World, Good Heart, In My Neighborhood make up the first half of the album before “intermission” (track six). Thinking About God concludes the second chapter … but before we get there, we visit Walter Whitman; experience how Love Is A Shark; Turnaround; Don’t Follow Virginia; and hear about The Man Who Could — that would be John .. who could and does in JC 3.0 show us he has much more beautiful emptiness to share. It’s no secret I like my roots and country music… I always tell folks that my music collection is a) Colorado (rock, pop, country, blues.. whatever) and b) Americana, Alt-country, folk, bluegrass. That’s it, really. This week’s MMMM features two of the top new Colorado Americana records of the year so far for 2010. What I like most about these albums is their adherence to tradition. I read somewhere recently that too many of today’s americana bands have become cosmo-americana – not necessarily a good thing if you’re a fan of real authentic American roots music… folk, country, jazz, blues, whatever… modernity is where these two albums leave off. Faux-country they are not. And, telling just by the personnel list on each album, they’re stacked with some of the best roots music players in the state. From Romano’s website: Romano was born into a musical family. His grandfather, “Ragtime” Bob Darch, was the only living inductee of the Ragtime Hall of Fame. At a young age, Romano was taken with his grandfather to tour the East coast hitting the saloons and scuttlebutts. While Bob Darch pounded on a piano Romano played the spoons and bartended for his Grandpa’s act. 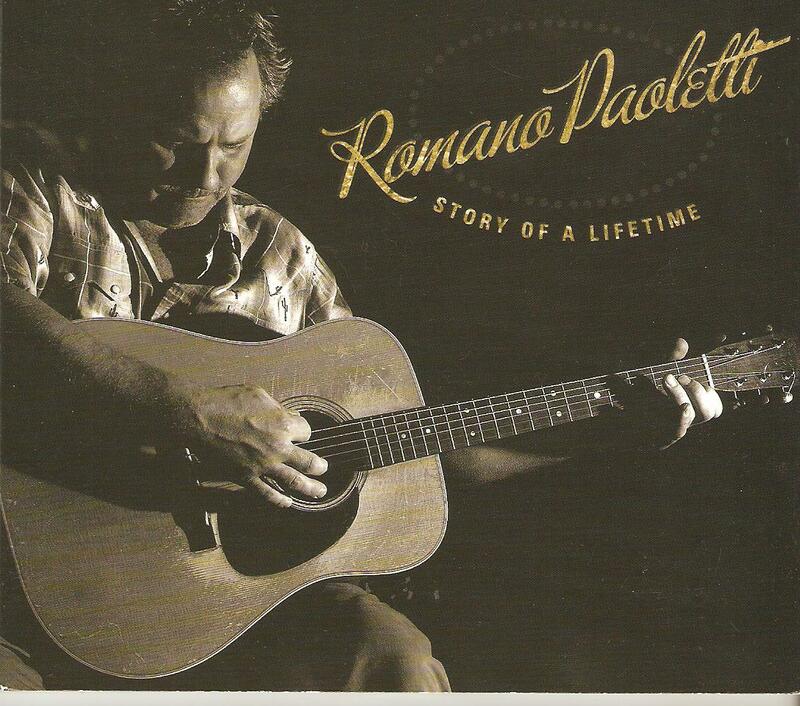 At this point in Romano’s life he learned how to be an entertainer. Romano’s mother, Norma Jean, was always a singer and was signed by Smokey Robinson of Motown Records. She taught Romano from a young age how to sing and often placed him on stage with her to sing before an audience. 5. Why Do Angels Get Wings? Notes: I became a fan of David’s music about five years ago now. He had just released Joplin, MO… and I was enthralled by the literacy of his lyrics, and the depth of his sense of tradition musically. I didn’t get around to reading his bio for a couple of years, to be honest. When I did, I was more than pleasantly surprised to learn just how exceptionally talented and skilled David is. 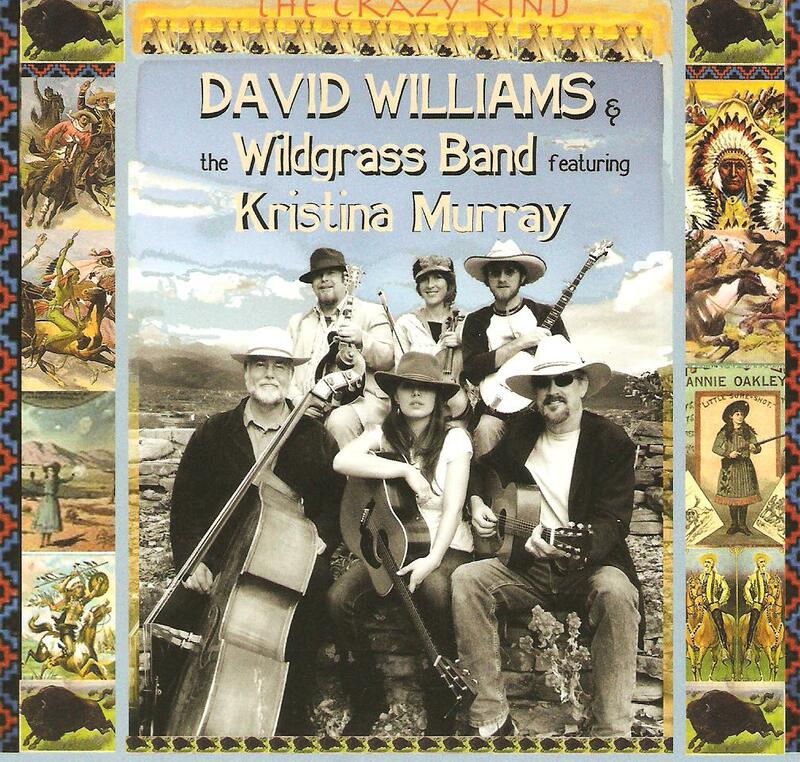 This record is a continuation of David’s love for American country, bluegrass, and folk music, following Joplin, MO. On his last wonderful release, Django Jazz (2007), David explored his passion for Django Reinhardt, and turned in one of the best roots-jazz records of the year. David also enjoys mixing it up when it comes to who is on the next record… the one constant being Duane Webster (bass)… and as indicated on the Who Played list… they’ve all got some major cred as players. From David’s Myspace bio: 2009 EMMY AWARD WINNER IN COMPOSITION AND WRITING. Influenced by everything from gypsy jazz to folk, delta blues, swing, rockabilly, bluegrass & folk. As a singer-songwriter, David’s known for his way with words and melodies, which conjure up the American musical landscape. His songs touch on everything from the difficulties of love to the people and places along old Route 66, or a carnival from his childhood, or swing tunes reminiscent of Tin-Pan-Alley—in a wide range of CDs released over the last 30 years. In 2008, he was nominated for an Emmy in songwriting for his work for PBS. David has also recorded and performed with people such as Greg Brown and Dave Moore, and he studied and performed with the great Jethro Burns, of Homer and Jethro fame. He holds a Ph.D. in English, and he has been a writer in residence at a number of colleges and universities in the US. He is an ALA and NAPPA award-winning albums for children and is currently the songwriter for the PBS children’s show The Big Green Rabbit.